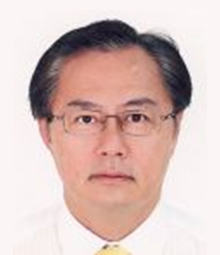 Mr. Hee Joh Liang has been the Deputy Principal of Singapore Polytechnic (Corporate Development) since 2009. In his tenure, he has made a mark as a change agent. Having championed the adoption of Design Thinking (DT) within the institution, he helped Singapore Polytechnic establish DWS, which assists local enterprises to use the fundamental principles of Design to solve business challenges. Through these efforts, the local firms gain new insights, perspectives and possibilities for future strategic growth and success. Before joining Singapore Polytechnic, he worked in the education industry in the public and private sectors. He was the Director of National Computer Board in charge of the Education Cluster. He was also the master planner for the IT in Education Master Plan for the entire nation. He worked very closely with the Ministry of Education in implementing the ambitious $2 billion Masterplan for IT in Education. He holds another appointment concurrently as Senior Director of Applied & Health Sciences Cluster. These two portfolios cover the operations of one school, two departments, SP International and the User Experience Centre (UXC).